A student who won a national prize to have his seat design made into a piece of furniture from the OneOak tree has returned to the National School of Furniture at Oxford & Cherwell Valley College (OCVC). This time he came with classmates from the Arden School in Solihull, to see how his winning design was being put together at OCVC and to lend a helping hand. Oliver Mason won the MakeIT! award in June this year (read more) with his design for a seat. MakeIT! 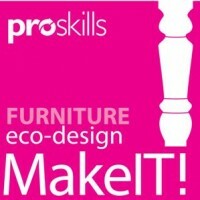 is an sector-based project and competition for schools, organised by Proskills, to show students how furniture is designed and made in the Furniture, Furnishings and Interiors (FFI) Industry. MakeIT winner Oliver Mason (front right) at the National School of Furniture, Oxford & Cherwell Valley College, with fellow students from Arden School, Solihull. Here they are learning to steam-bend oak from the OneOak tree. Photo OCVC. 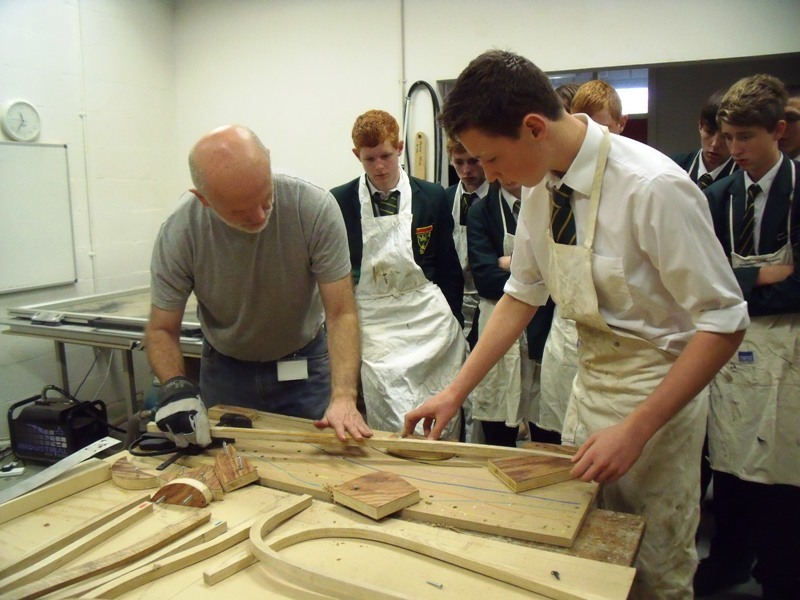 Oliver and classmates had a tour of the facilities, undertook some practical activities and then made some components for the winning furniture design, supervised by OCVC’s Woodmill Technician Geoff Carter. The first ever MakeIT! Furniture awards ceremony was held at The National School of Furniture at Oxford & Cherwell Valley College as part of the Summer Show on the 13th June, bringing together industry experts, teachers and students to recognise Britain’s emerging design talent. Led by Proskills, the sector skills council for the process and manufacturing sector, the MakeIT! Furniture programme aimed to encourage students to develop their design skills. 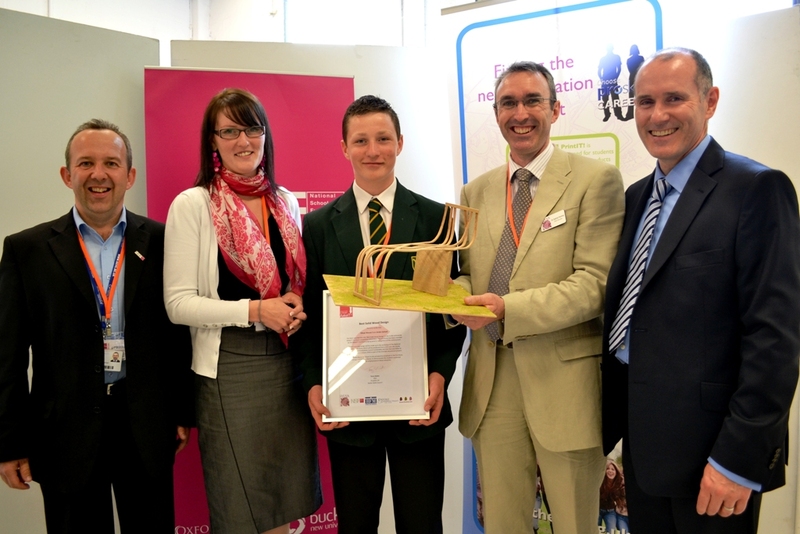 Oliver Mason of Arden School in the West Midlands won the prize for the best solid wood design and his entry, which will now be produced from a locally sourced, sustainable tree as part of the OneOak Project, attracted high praise from the panel of judges. The prizes were awarded by Jackie Bazeley (BFM), Paul Preston (Proskills Furniture Industry Lead) Neil Stevenson (NEJ Stevenson Ltd), Gabriel Hemery (The Sylva Foundation) and Chris Hyde (The National School of Furniture), who presented a range of cameras and design equipment to students. The programme’s sponsors included the BFM, The National School of Furniture, The Sylva Foundation, Fujifilm, and Pantone, illustrating the wider commercial importance of the MakeIT! Furniture programme; Jackie Bazeley said the quality of entries points towards a bright future for the industry. “Design lies at the core of the manufacturing process, and the creative industry has an important part to play in economic recovery. Without design, how can manufacturing, fashion and retailing grow? They all start from the creative process,” Jackie points out. “We’ve got to get young people interested in design and it needs to be promoted in school so that children are aware of it as a potential career option. The MakeIT! Furniture programme is a perfect example of how this can be achieved. We are introducing career options into schools and heightening awareness of the opportunities the furniture industry offers”, concludes Jackie. Encouraging students to express their creativity is an important part of this wider agenda, and while many people believe they lack creative ability, tuition and guidance can help them develop their skills. This reinforces the wider importance of the programme, says Terry Watts, Proskills CEO. 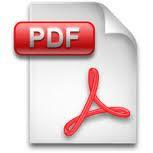 “We’ve been very pleased with the response to the MakeIT! Furniture programme. It attracted over 3,500 students and we received entries from across the country. It has demonstrated the creative opportunities available in the furniture industry and its wider commercial importance,” he outlines. MakeIT! Furniture is an industry-based project and competition for schools, mapped to the national curriculum and Diplomas. It familiarises students with how furniture is designed and made in the Furniture, Furnishings and Interiors Industry through researching and designing products, and investigating the various different aspects of the industry – from sourcing raw materials to producing finished products.